Graphic organizers are visual charts and tools used to visually represent and organize a student's knowledge or ideas. They're often used as part of the writing process to help students map out ideas, plots, character details and settings before beginning to write. Graphic organizers also are useful when brainstorming ideas, especially as part of a group project or plan. They can be used for a variety of educational purposes, including sequencing events, analyzing cause and effect, comparing and contrasting, and developing concepts in detail. 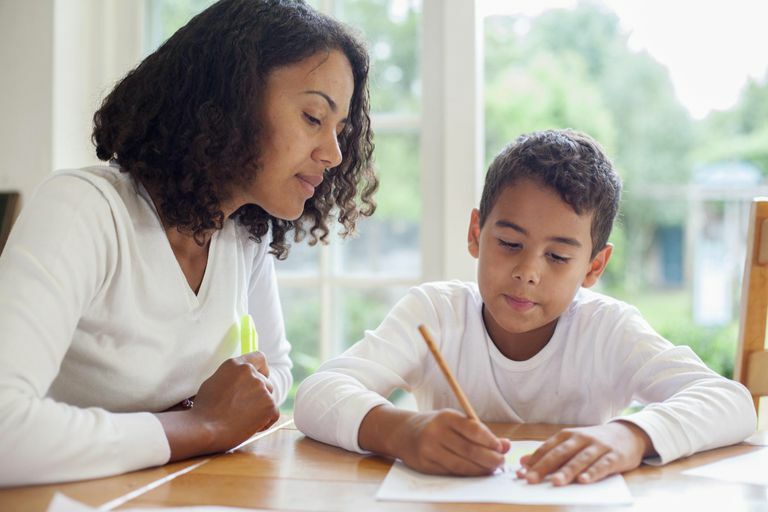 As part of the reading process, graphic organizers can help a student comprehend what he has read and made comparisons to other pieces of writing. Some popular and useful types of graphic organizers and brief descriptions are listed below. Try to decide with your child which type of graphic organizer they think will be most helpful. Let them experiment with more than one variety, and consult with your child's teacher for advice or suggestions. Venn diagrams consist of two or three overlapping labeled circles. Using two circles, each circle has its own subject, written as a heading or title, and within the overlap area, your student writes the things that the different subjects have in common. For instance, if one circle represents "dogs" and one represents "cats," you could list characteristics like "have tails" or "make good pets" within the overlap area. But descriptors like "barks at strangers" would only be included in the "dogs" circle, and "purrs" would only be listed in the "cats" circle. A triple Venn diagram allows comparison of three items, using three overlapping circles with one overlap area. In the above example, a third circle could represent "fish," and the overlap area would still be accurate. K-W-L (Know, Want to Know, Learned) charts are divided into three columns titled Know, Want and Learned. It's used to help guide students at their own pace and interest level through a lesson or subject matter. For instance, for a lesson on stars, students would write what they know about stars in the first space ("I know they are far away, I know they are in the sky). In the second, or "want" column, the students write what they want to learn ("How are stars formed? Why do stars twinkle?"). And once the lesson is completed, the students write what they actually learned about stars. Flow charts are more complex visual representations of a process and are probably more suited for older students than younger ones. The steps in a process are shown using boxes connected with arrows and are used to devise a solution or plan for a problem, presenting the steps as a map to be followed. This style of a visual organizer is most useful in subjects such as math and the sciences. Pie charts are easily understood representations of proportional relationships. When trying to compare three or more items to determine which is larger or better-represented, pie charts show the larger item to have a larger "piece" of the pie. What Writing Types Will Your Child Need to Know?